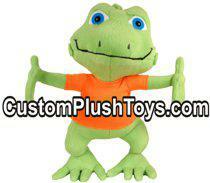 "The Resman Lizard have been received and everyone loves them. Thank you for all of your help during this process. I know that when we need another plush toy, we will call Binkley again! Have a great day!"